One of my goals, somewhere down the track if I ever find the time to do it, is to design and build my own pinball table. I've got this great idea for a Hatsune Miku-themed one, and while a pinball table is a complex thing to build, people get up to more intricate homemade projects than that. 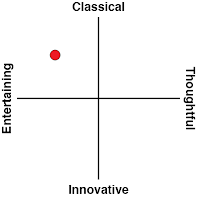 I'd like to think it's something I can do. But then I played Zaccaria Pinball, and while I wouldn't say that it has killed my dream, it has reminded me that pinball design is actually incredibly hard to do well, and my grand dream idea may well not work out the way I thought. Zaccaria Pinball has a fascinating story, in a way that I'm still not sure why it got made at all. Previously, digital pinball fans only had two real choices for deep pinball experiences. 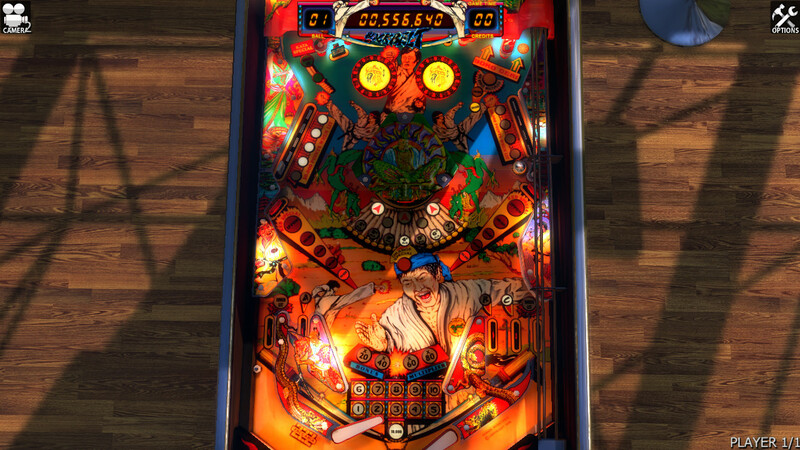 Zen Pinball/ Pinball FX gave players original digital pinball tables, most of which wouldn't be possible as physical, real-world pinball experiences. 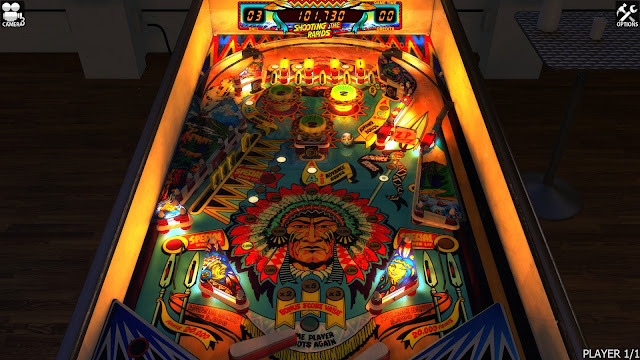 The Pinball Arcade, meanwhile, gave players exact replicas of classic tables from the likes of Gottlieb and Stern. Zaccaria Pinball deserves to be a third name in that small group of elite pinball collections, and is certainly built to the same standards as its peers, but its namesake really lets it down. By that I mean that it's problem is that it gives players exact replicas of Zaccaria pinball tables. If that name isn't familiar to you, there's probably a good reason. Zaccaria was an Italian manufacturer that claimed to be the third-ranked pinball manufacturer in the world when pinball was at its peak, but in the context of the world of pinball that means it was very much the B-tier. Zaccaria's tables were frequently aesthetically garish, and lacked the embellishments and slick design of their peers. 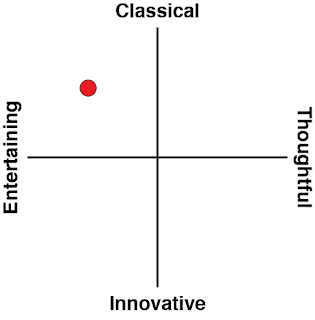 As a result, the simply didn't play as well. As a kid I had a space-themed cheap tabletop pinball machine that my parents gave me as a Christmas gift, and it's telling that one of the Zaccaria Pinball space-themed pinball table gave me a rush of nostalgia for that machine. That's the standard of design we're talking about here. I find that the Zaccaria tables rely too heavily on bumpers, which are the most unengaging mechanics you can find on a table. Ramps and other decorative elements are always kept to a minimum, and really, for the most part the only part of these tables that carries the theme is the artwork painted on to the base. While the other, better pinball manufacturers were working really hard to make the actual design and play style of their tables match the themes they were working with, Zaccaria's tables are very cookie-cutter in approach. I could stick a picture of Hatsune Miku over the space-themed table base and it would be as representative of Hatsune Miku as it was of the space theme. Licensing is another issue for the Zaccaria Pinball line. Licensing has always been important to the appeal of pinball; whether you're a fan of Star Trek, Dr Who, Lord of the Rings, AC/DC or KISS, many of the best and most beloved tables are based on popular culture, films, music, or other instantly recognisable properties. Zaccaria Pinball's machines? Magic Castle. Clown. Space Shuttle. Cine Star. These are generic, nondescript titles that hardly do much to excite the imagination. Coupled with the garish aesthetics I mentioned previously, it's really, really difficult to care about any of the tables in Zaccaria's entire range. This is all a real pity, because the work that has gone into the app itself is nothing short of incredible. Each table has a half dozen different ways to play, and dozens of achievements to unlock (with free extra tables being unlocked as more achievements are earned). Each of those different play styles has its own separate leaderboard, which are updated in real time as you play, so you can actually see yourself moving up through the rankings. Sadly, there aren't many people playing any of tables (aside from the free one you get when downloading the game), but the effort that's gone into encouraging the competitive spirit in Zaccaria Pinball is impressive. There's also a truly staggering range of customisation options, to the point that the game can be a little overwhelming at first. 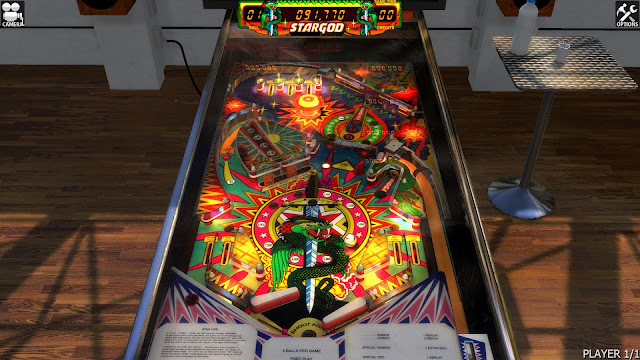 Once you get through the somewhat-clumsy interface, though, you'll find that this is perhaps the most fully-featured pinball app of all - you can even edit the ambient noise to whatever you find most enjoyable. The developers have also nailed the physics engine. 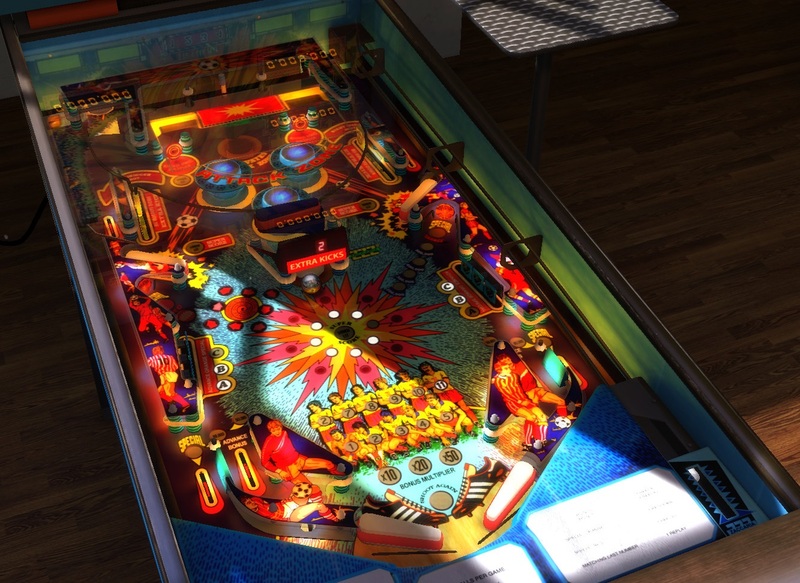 I'd even give it a slight edge over The Pinball Arcade in this regard, as a recreation of real-world pinball physics. The ball always responded exactly how I expected it to, and never suffered from the "floating ball" feeling that other pinball games sometimes have. I was able to knock the ball around exactly where I expected that it would go, and some subtle use of the rumble in the Switch controllers added to the tactile experience of playing the game. It's genuinely disappointing that the developer was laboured with such inferior tables to work with, because the team has done everything in their power to perfectly recreate the experience of playing them, and this truly feels like a leading digital pinball engine. There are even "retro de-makes" of some of the tables, which are original designs by the development team, rather than recreations of existing tables. The purpose of these is to simplify existing down to the most primitive state that pinball gets, and are provided as "free gifts" to people that buy the equivalent base table. They're minor bonuses that are impossible to get really great scores on (and yet for some reason share the same leaderboards as the table they're based on), but it just goes to further show that the effort that has gone into making this package comprehensive is incredible. Sadly, at $Aus3 per individual table, Zaccaria Pinball is also a very expensive way to play bad pinball. You get better quality tables with more recognisable designs and franchises in either Pinball FX 3 or The Pinball Arcade, and so, while pinball fanatics like myself might find Zaccaria Pinball curious from a historical perspective, and as a way of remembering what the B-tier of the industry looked like, it's hard to imagine too many other people playing this over the other options.